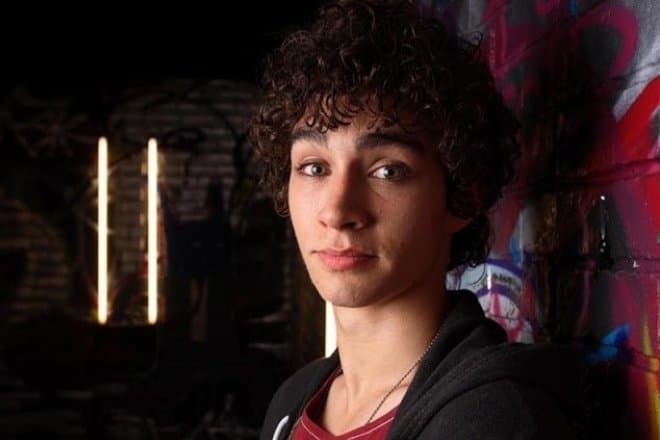 Robert Michael Sheehan is an actor of Irish origin who has become famous after the embodiment of the role of Nathan Young in the tragicomic TV series Misfits. Rob was born on the 7th of January, 1988 in the Irish town of Portlaoise and has become the third youngest child in the family of the policeman Joe Sheehan and his spouse Maria who was engaged in the housekeeping. At the elementary school of St. Paul the boy played different folk musical instruments – the banjo, the bodhrán, wooden spoons. Due to this, he participated in the traditional Irish contests of the school orchestras called "Fleadh Cheoil." Also, being a pupil of the elementary grades Sheehan not only appeared in the amateur performance "Oliver Twist" for the first time but also began to think of the acting career, as of his conscious choice of the path in his life. For the first time, Robert took part in the audition at the age of fourteen. His mother took him to the casting as he asked her about it many times. Later Sheehan told that at the beginning of his career his mother was a kind of his manager, personal driver, and psychologist and he is grateful to her for this and his family which supported the young man in his undertakings. At the age of seventeen, Robert Sheehan entered the Galway-Mayo Institute of Technology, but he has studied her only during one year. He left his studies to continue his acting career. Sheehan admits that he hasn’t chosen the theatrical institution on purpose as he doesn’t want to study the dramatic art. The young man likes to spend time on the movie set and to embody different characters, but he wants to receive education in some other sphere not to be dependent on the one specialty. Robert Sheehan began his career as an actor in 2003 when the fifteen-year-old teenager performed in the role of the pupil of the private school of the times of the Second World War in the psychological drama Song for a Raggy Boy. The picture was shot just in three months, but the young actors managed to become friends. By the words of Robert, he still keeps in touch with the most of them. The actor treated the shootings of the movie as if it was an adventurous game. Since 2004, the actor took part in the shootings in the Irish series The Clinic, Coming Up, Foreign Exchange. Later there followed the pictures Young Blades and Ghostwood. In 2008 Robert attended the audition of the series The Tudors which was shot by the request of Showtime American TV channel. In this drama about the ruling of King Henry VIII (Jonathan Rhys Meyers), the 20-year-old young man received the episodic role. Robert was happy to get such great experience as he worked on the same movie set with the actors Sam Neill, Callum Blue, Natalie Dormer, Maria Doyle-Kennedy. The actor made his breakthrough to fame in 2009. At first, Sheehan played together with Rupert Grint in the youth drama Cherrybomb. In this movie, he received the role of Luke, an inadequate son of the drug addict who for the sake of the achievement of his aim is ready to go to great. After this Robert performed in three parts of the crime movie about the corrupted policemen under the title Red Riding which was based on the real events. And at the end of the same year, the tragicomedy series Misfits came out on the screen. Robert Sheehan performed the role of the self-confident guy Nathan Young, one of the delinquents who was hit by the lightning and began to have supernatural abilities. Robert's character became immortal and started to communicate with the spirits. During two seasons he was one of the central personages of the series. All of a sudden for the directors after the announcement of the shootings of the third part of the series the actor denied his further participation. Therefore, the scriptwriters had to introduce one additional short-length episode under the title Vegas Baby! in which there are explanations about the disappearance of the major character. 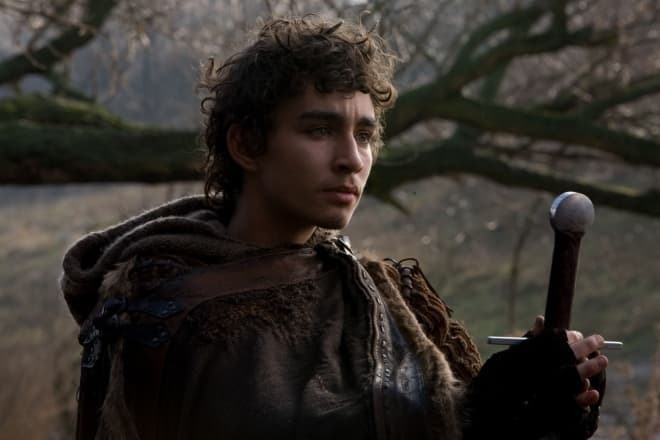 For his role in the series, Robert Sheehan was nominated for the Irish TV Awards in the category The Rising Star and also was considered the Best TV Actor by the version of British Film Academy. In 2010 the actor managed to get to the Hollywood project – the medieval thriller Season of the Witch directed by Dominic Cena featuring Nicolas Cage and Ron Perlman in the leading roles. In the picture, Sheehan embodied the part of the knight Kay who was the only one who survived and became the groom of the girl Anna (Claire Foy) who was set free from the evil spirits. The same year Sheehan enriched his filmography with the comedy Killing Bono about the musicians losers who are disturbed by the popularity of their friend and U2 band. In October of 2010, Robert again started shooting in the crime TV series, that time in the gangster saga Love/Hate. It's noteworthy that when the actor received the invitation to take part in this movie he even didn't begin to find out the details of the plot. For Robert Sheehan, it was enough to know that David Caffrey was the director of this movie. Robert admired the works of this director. That’s why he accepted the invitation even without reading the script and not asking about his future role. In 2013 Sheehan could overshadow such actors as Logan Lerman, Aaron Taylor-Johnson, Asher Book and Carter Jenkins and he received the role of Simon Lewis in the fantasy adventure movie under the title The Mortal Instruments: City of Bones. The young actors Lily Collins and Jamie Campbell Bower became Robert's partners in the film. In 2014 Robert Sheehan received the offer to perform the major role in the drama Anita B. about the girl’s life (Eline Powell) who has gone through the horrors of Auschwitz. The same year the actor played in the comedy The Road Within in which he embodied the role of the leading character Vincent. In 2015 the actor appeared in the French comedy Moonwalkers where it was told about the false shootings of the moon landing of the Americans. Sheehan received the role of the swindler Leon who pretended himself to be the director, Stanley Kubrick. The same year Sheehan transformed into the character of the young man Jack in the thriller The Messenger. Jack can communicate with the spirit world. 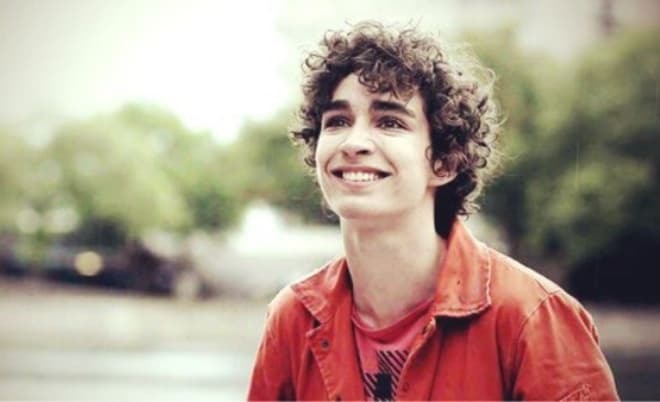 Robert Sheehan is an extroverted, sociable and cheerful person. The young man likes noisy companies and has many friends and acquaintances. Moreover, he travels a lot in the company of his friends. Besides, the actor finds a common language with the girls without any difficulties. He had many love affairs, but his personal life has improved for better only since 2014. 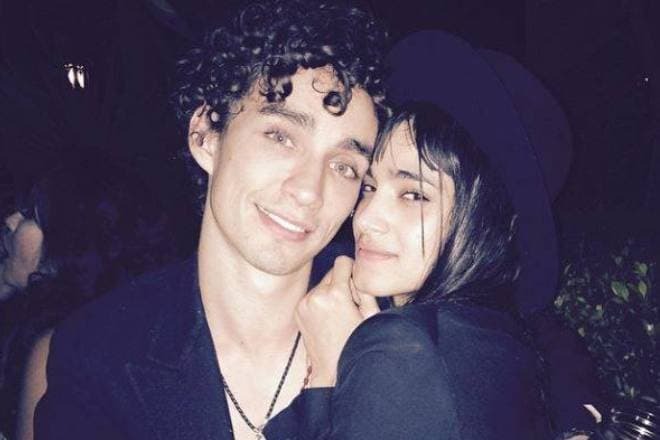 Robert began to have a relationship with the French actress of the Algerian origin, the actress Sofia Boutella who is six years elder than the young man. It’s known that Robert is generous at giving gifts to his beloved girlfriends. Though, it is considered that the actor behaves in such a way when they are together. After the break-up, the girls have to return Sheehan his expensive gifts. It’s little known that in childhood and youth Robert hated his thick curly hair that's why he cut it short and straightened it to get rid of that hair which later became his particular feature. Robert doesn't have his account on Instagram. The fans of the actor create his pages. The actor who is 183 cm tall and weighs 72 kilos publishes his private photos on his personal account on Twitter. In 2017 Robert was included to the cast of the second season of the detective series under the title Fortitude. This series tells about the series of murders which happen in the provincial town far behind the Arctic Circle. At present there comes to an end the shootings of the American catastrophe movie Geostorm about the climatic changes on the Earth. The picture will be premiered in October of 2017. 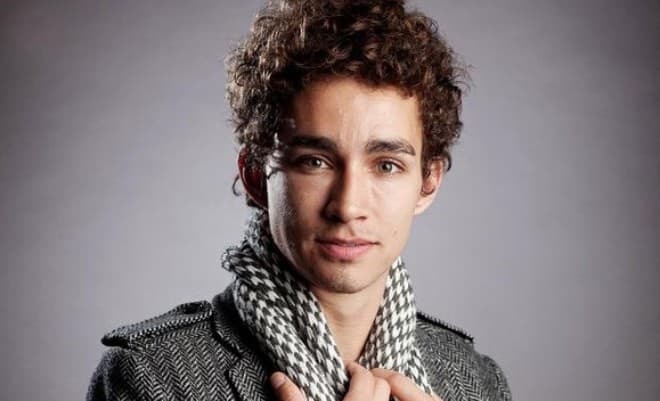 Moreover, Robert Sheehan is engaged in following projects - Mortal Engines, Bad Samaritan, Untitled Ari Gold Project and The Statistical Probability of Love at First Sight.